I hope I don't jinx myself by writing this post, but I was so proud of BJ today. He fell asleep on his own without me having to rock him to sleep!!! THREE times. Normally, BJ likes it when you stand up with him in your arms, and it would take up to 30 minutes for him to sleep at times. However, today, he "found" his thumb and went right to sleep... in bed! After three months of rocking BJ to sleep, and months of him getting heavier and heavier, I was happy to put him down to sleep. Now I have to find another way to work out my arms! haha. BJ never liked his pacifiers so I was never able to experience a baby soothing himself to sleep. All I have to say is: WOW. This is great! Let's hope it continues. 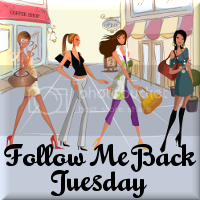 Welcome Tuesday Tag Along and Follow Me Back Tuesday People! I'm your newest follower from Tuesday Tag Along! Oh my word, he is beautiful! Congrats! Newest follower in the house from TTA. Would love if you'd swing by and say hi! Hi there, following from FMBT, hope you can return the love back. Oh please feel free to join the giveaway if you have time. Your little sweetie is so cute. I miss that age!!! Glad your baby is sleeping on his own!!! You are one of the lucky ones!!! I'm a new follower from Tuesday Tag Along, and i love your blog. Hope you'll stop by and follow me back!! !